be included in protein-based materials was the tripeptide arginine-glycine-aspartic acid (RGD) cell surface integrin-binding sequence (Nicol et al. 1992; Pierschbacher and Ruoslahti 1984). Interspersing this sequence (or variations thereof) into the repeats of peptide structural domains resulted in materials that promoted the adhesion and spreading of many cell types. Consequently, these materials began to be heavily investigated for potential medical and clinical applications as implantable materials, drug delivery vehicles, tissue engineering scaffolds, and gene delivery vehicles. Protein-engineered materials offer significant advantages over traditional biomaterials for these types of medical applications. Traditional biomaterials include both synthetic polymers such as poly(lactic-co-glycolic acid) (PLGA) and harvested natural polymers including collagen and hyaluronic acid. While synthetic polymers allow for systematic control of material structure and properties through well-developed chemistries, they are often biologically inert and/or may degrade into toxic fragments. On the other hand, natural polymers are often intrinsically biologically active; however, their properties cannot be easily controlled, their sources are limited, and purification protocols are often expensive and variable from batch to batch. With protein engineering technology, it is possible to draw from the advantages of both synthetic and natural polymers to design and genetically engineer new classes of artificial proteins with precisely controlled physical, chemical, and biological properties that mimic a wide variety of natural biomaterials. Building upon this concept, a greater diversity of potential biofunctional domains were incorporated into protein-engineered materials. Enzymatic crosslinking sites (McHale et al. 2005; Murphy et al. 2004), proteolytic degradation sites (Sakiyama-Elbert et al. 2001; Straley and Heilshorn 2009), domains to initiate cell signaling events (Liu et al. 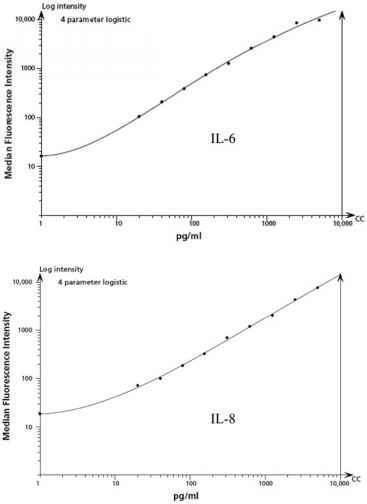 2003), and recombinant growth factors (Sakiyama-Elbert et al. 2001) all began to be explored. With the inclusion of these peptide domains in protein-engineered materials, the concept of modular protein design became a key principle of the field. The underlying assumption of the modular protein design strategy is that individual peptide building blocks will maintain some degree of their original functionalities when fused together as multiple repeating sequences. As the field of synthetic polymeric biomaterials progressed toward more highly functionalized scaffolds using grafted peptides, protein-engineered materials also became more complex and specialized for specific target applications. This exquisite level of control and specialization may be key to developing scaffolds for regenerative medicine therapies that can communicate with stem cells and progenitor cells. Hall et al. 2008). Due to their exact molecular-level specification, modular designed proteins are ideal materials for many applications in nanoscience and may be particularly useful in serving as bridges between the inorganic and biological interface.